STATESVILLE, NC. 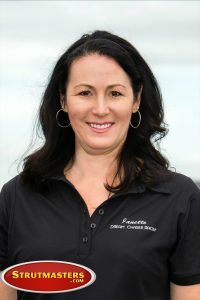 – With many off season hours committed to securing new partners for 2019, World Championship Pro Fuel rider Janette Thornley of Dream Chaser Racin’ announces her new primary sponsor with Strutmasters.com. “I am honored to be selected by Chip Lofton of Strutmasters.com to represent his company through our racing program. With my love for motorcycling, Chip’s love for racing, and our North Carolina base, this couldn’t be a better fit!” says Thornley. Thornley plans to pilot the Pro Fuel motorcycle at 11 events this season. She will race in both the AMRA and Manufactures Cup series up and down the east coast beginning in Bowling Green, Kentucky and ending her season in Valdosta, Georgia. 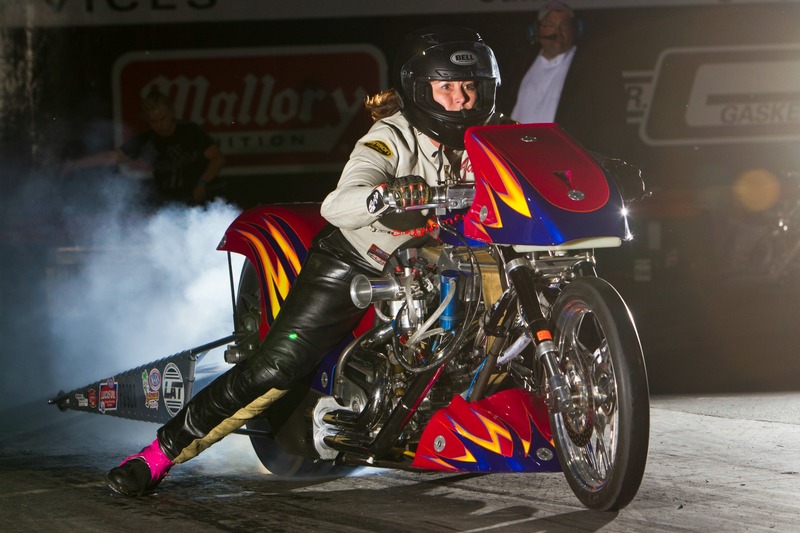 In addition to her Pro Fuel schedule, Thornley continues to take steps to becoming the first ever woman to ride a Top Fuel Harley in the NHRA series. “It’s not about being the first to me, it’s about continuing to chase my dreams, partnering with some great brands and inspiring others to be all they can be!” says Janette. Janette Thornley will be capturing all of the race program progress on her Facebook and Instagram platforms, so stay tuned as she takes the track next weekend in Bowling Green Kentucky and continues to chase her dreams to a Top Fuel Harley! A full event schedule can be located on dreamchaserracin.com/calendar. 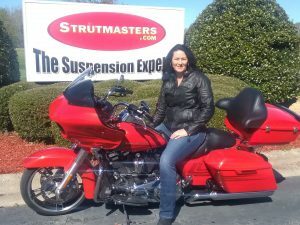 About Strutmasters.com: Strutmasters.com is celebrating its 20th year as the leader in automotive and motorcycle suspension systems. Chip Lofton founded the company in 1999 when he created the first fully-assembled suspension conversion for his personal Lincoln – which was equipped with a factory air suspension. The company designs, assembles, sells and services suspension conversions for almost every major auto manufacturer from its facility at Roxboro, NC. Strutmasters.com offers affordable solutions for vehicles with air, electronic and active hydraulic suspension. The EZ Rider subsidiary of Strutmasters.com offers complete air suspension systems for a wide range of motorcycles, including most Harley-Davidson models. For more information about Strutmasters.com, “The Suspension Experts,” visit www.strutmasters.com .